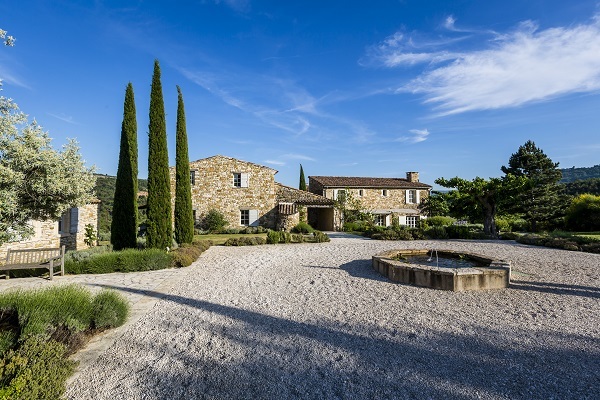 Perfect for two families sharing - accommodation in two adjacent properties with private use of pool in lovingly restored hamlet in the beautiful Luberon hills. 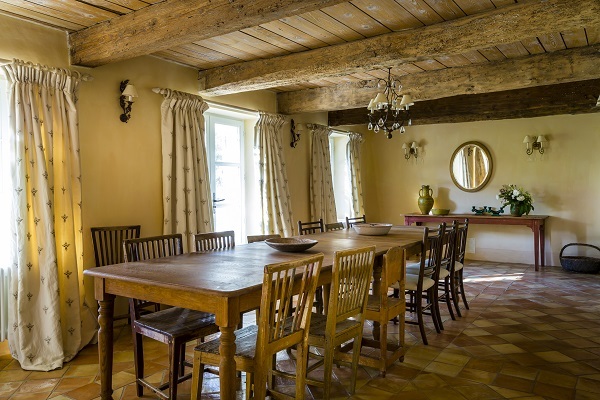 The ancient hamlet of Cournille has been lovingly restored into three luxurious holiday homes with attention to detail and respecting local traditions, crafts and materials. 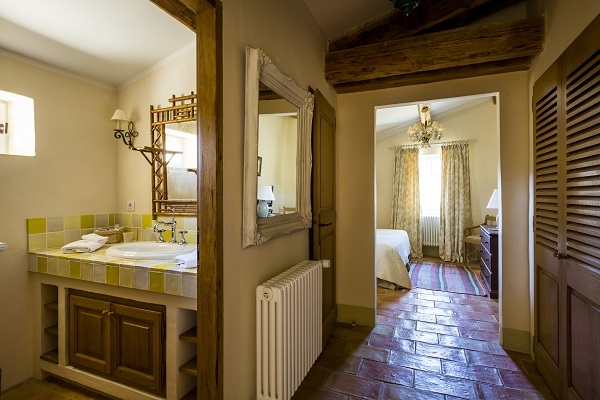 La Maison du Berger and La Maison Rose are adjacent three-bedroom properties and can be rented together, offering accommodation for 12 in six bedrooms with private use of a large pool – perfect for two families sharing. 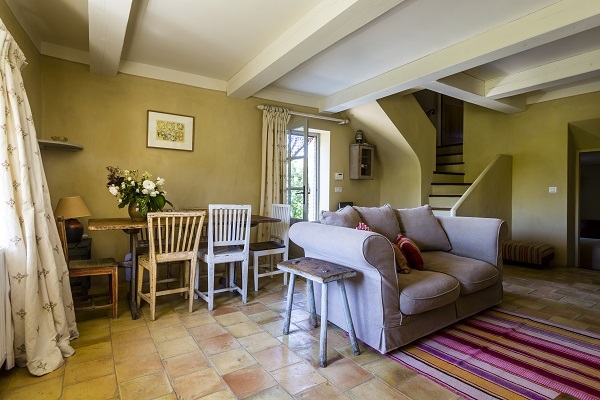 La Maison du Berger is the smaller and most cosy of the properties. Until recently it was lived in by the local shepherd. The main preserved feature is the ancient fireplace, ensuring that the spirit of the original house lives on. 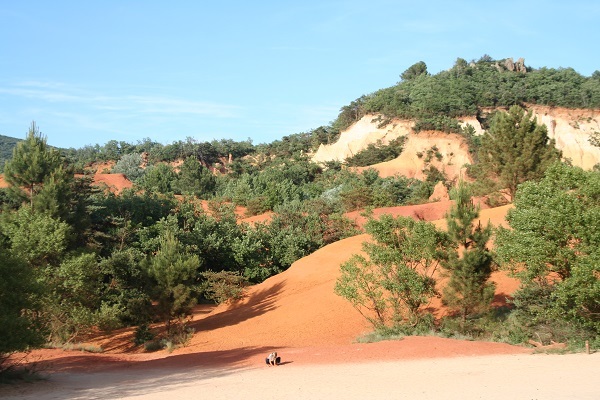 Outside the furnished terrace enjoys lovely views over the surrounding countryside while in the evenings you can experience the unforgettable Luberon sunsets. As well as well as a large living/dining room in La Maison Rose there is a second smaller living room, ensuring that there is space for everyone. 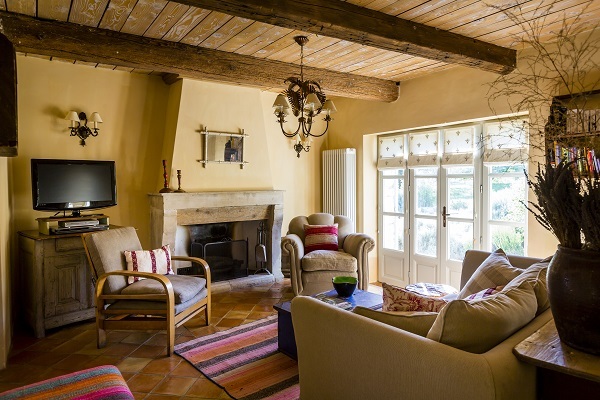 The restoration of both properties combines simplicity and luxury to create colourful accommodation in a Provencal farmhouse style. The peaceful landscaped grounds are a joy to wander through, beautifully planted with fragrant herbs, lavender and colourful flowers. 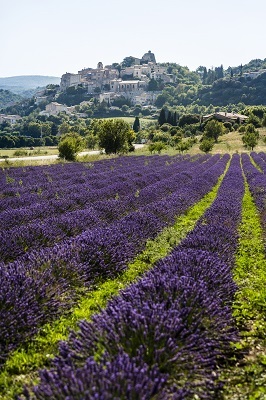 Some of the finest perched villages in Provence including Gordes, Menerbes, Lacoste and Bonnieux are within 20km of the Hameau de Cournille. 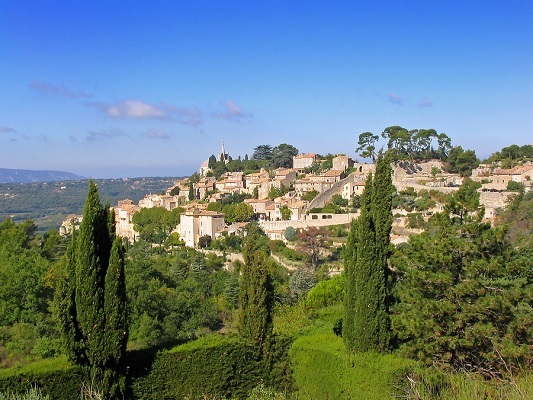 There are also many other fascinating villages and towns to discover, many with weekly markets, within a very short drive including Reillane and Cereste. Looking for somewhere to rent for a special occasion such as a wedding, birthday or anniversary celebration? 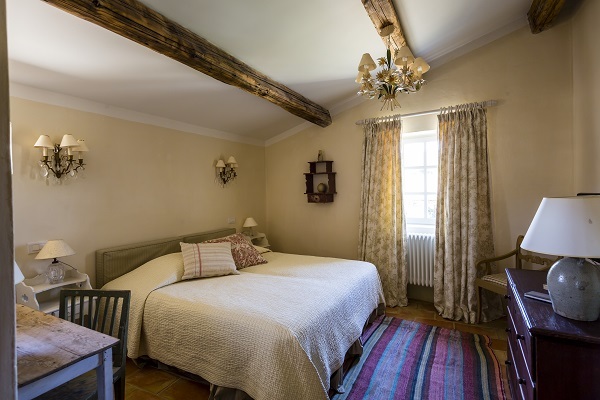 The entire Hameau de Cournille can be rented (sleeping a total of 24) with a function room in an adjoining building to seat up to 50. Catering can be arranged by the owners. Two further properties nearby are also available, bringing the total sleeping capacity up to 49. Please enquire for details. Large living/dining room with large TV, DVD and fireplace. Second smaller living room. Open plan living/dining room area featuring the restored original fire place. Comfortable sofa, large TV and DVD. 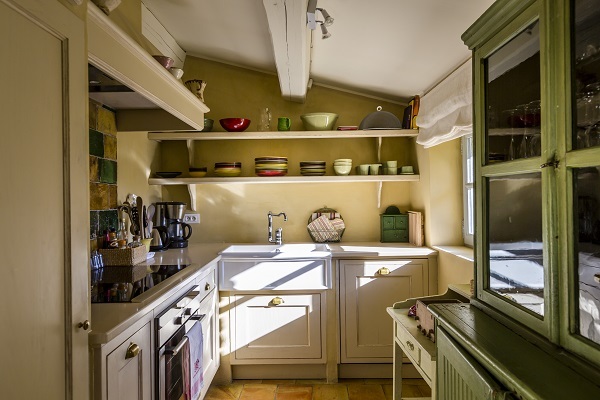 Separate fully equipped Provencal style kitchen. Oven, washing machine, dryer, fridge, freezer, dishwasher. Bedroom 1: Bedroom with large double bed (180cm) opening onto private terrace with sun loungers and panoramic views. En-suite bathroom with bath, separate shower and wc. TV, DVD and safe. Bedroom 2: Twin bedroom with en-suite shower room with wc. TV, DVD and safe. Bedroom 3: Twin bedroom with en-suite shower room with wc. TV, DVD and safe. Bedroom 1: Twin bedroom with en-suite bathroom with bath and separate shower. Door opening onto terrace and garden. Bedroom 2: Double bedroom with four steps to en-suite bathroom with bath and separate shower. Bedroom 3: Double bedroom with en-suite shower room. Separate wc on ground floor. All bedrooms en-suite. One bathroom with bath, separate shower and wc. Two shower rooms with wc. All bedrooms en-suite. Two bathrooms with bath and separate shower. Shower room. Separate wc’s on ground floor and first floor. Exterior Large landscaped garden with pool. 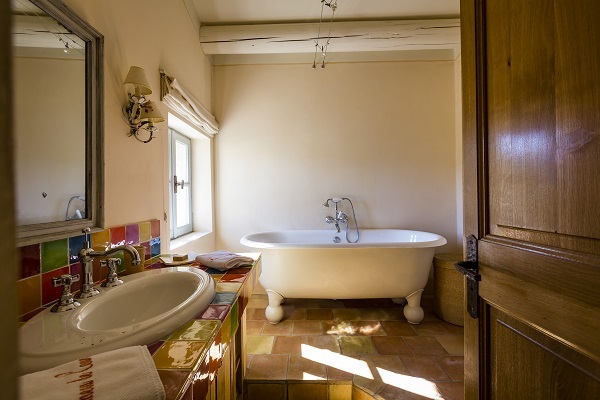 Tennis court and shared spa wellness area with jacuzzi, two saunas and three massage rooms (shared between all three properties at the Hameau de Cournille. Private parking. Pool Private heated pool: 11m x 5m. Steps. Security system: cover. Pool heated from mid-May to mid-September. Heating included in price. Sun loungers. Changeover day Saturday (30/3/19 to 21/9/19). Outside these dates non-Saturday arrivals/departures may be considered. Please ask for details. Water and electricity (including heating). Six hours of cleaning per week. Refundable security deposit: 1000€ (cash, cheque or card swipe) refunded on departure. Holiday tax: (taxe de sejour) 1.65€ per person per day. Barbecue gas 20€ per week. Mid stay bed linen change 20€ per set. Other information Cot, highchair, changing mat and bottle warmer available. Please request at time of booking. Fans available. Please request at time of booking. A good choice of locally grown organic produce available for delivery to the property (extra charge). Meals using local fresh products available (extra charge) and catering staff available for serving (further extra charge). The helpful caretaker lives discreetly in the hamlet. Shops Small supermarket and bakery in Viens 8km. Good selection of shops, bars and restaurants as well as huge weekly market in Apt 20km. 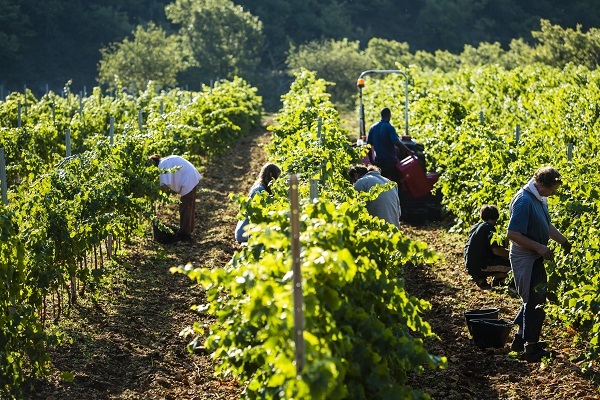 Nearby organic vineyard and farm run by the owners of the Hameau des Treimars with farm shop offering a selection of wines, fruit, vegetables and local produce. Deliveries to the property also available. The nearest Medieval perched village with regular Wednesday morning market and festival in August. Hilltop village with Medieval castle and international Baroque music festival in summer. 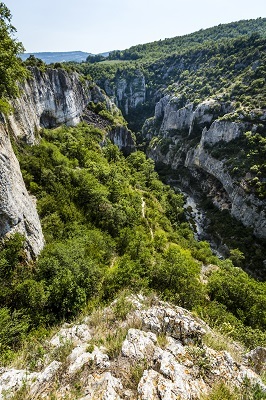 A fascinating and authentic Provencal village famous for its incredible festival in June. 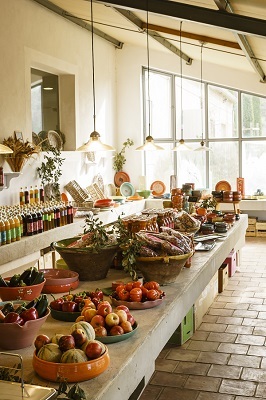 Wander through the historic old village or visit the Sunday morning market. 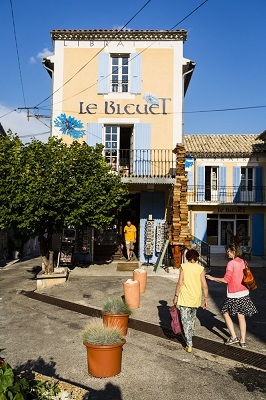 Buy some of the famous and tasty Banon goat cheese at either market (every Tuesday and Saturday morning) and visit Le Bleuet, a fascinating book shop spread over four floors in the heart of the village. 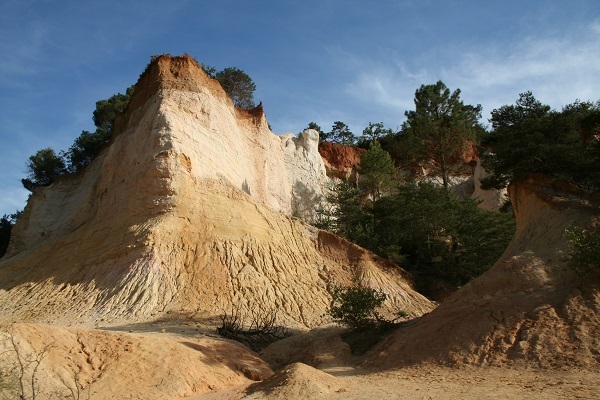 Situated between the villages of Rustrel and Gignac waymarked walks take you through a unique and colourful desert scenery with yellow and red rock formations created when ochre was quarried in the area. Aix en Provence is a lively and very appealing town with numerous restaurants and bars near the famous tree-lined Cours Mirabeau, markets on most week-days where you can sample regional produce including Calissons d’Aix (delicious marzipan based confectionery). There are lots of wonderful art galleries all within walking distance from one another in the centre of Aix, shops, music and much more!